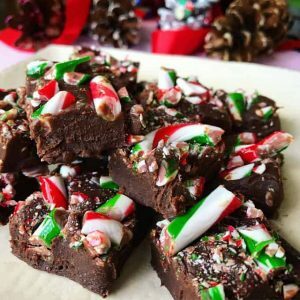 This delicious candy cane chocolate fudge only uses 4 ingredients and so quick and easy to make! The perfect Christmas treat or gift. 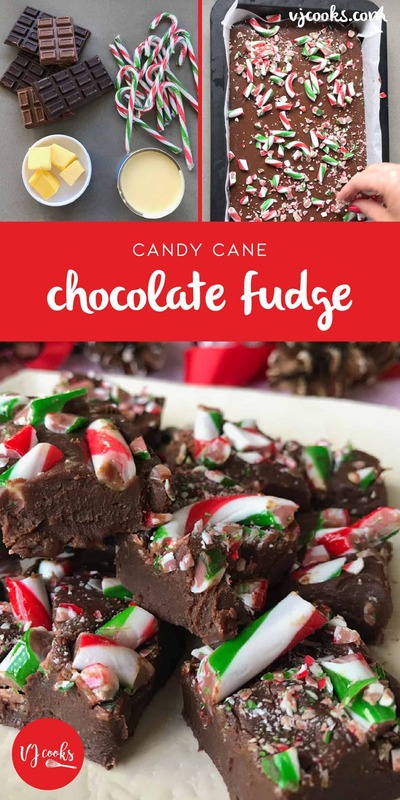 Are you looking for a quick and easy treat for Christmas? 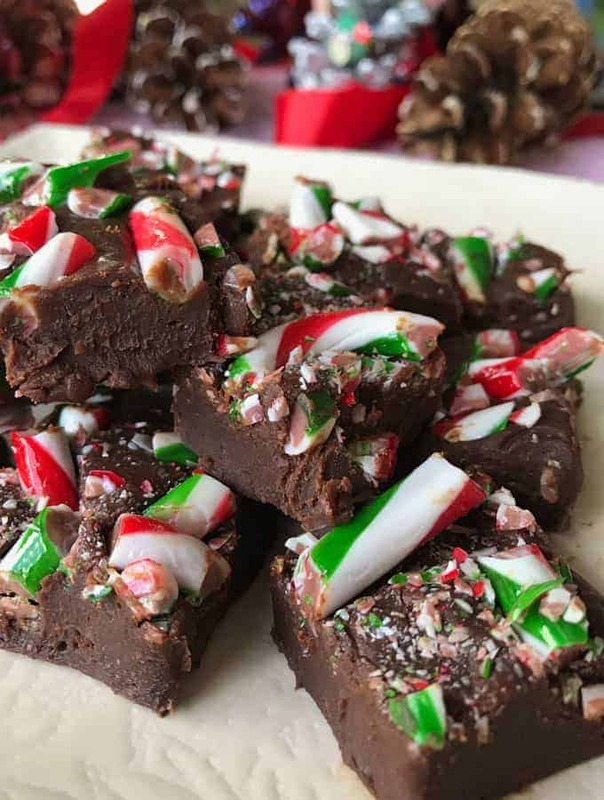 This Candy cane chocolate fudge is so easy to whip up. 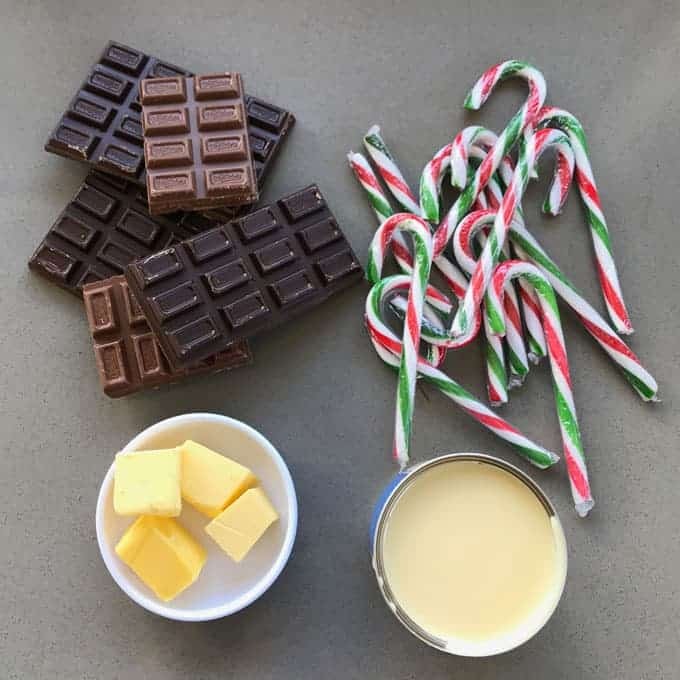 It only has four ingredients: candy canes, condensed milk, butter and chocolate. My favourite to use is Whittaker’s and I use a combination of the milk and dark chocolate. It is such a simple recipe you just melt the chocolate in a sauce pan then add the butter and condensed milk. Stir it all together until smooth and then pour it into a tray lined with baking paper. 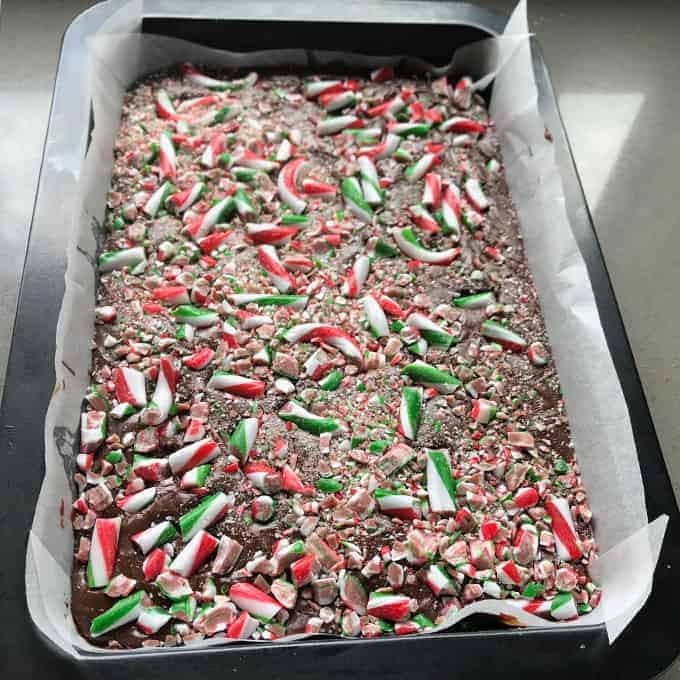 Once it is poured into the tray you can sprinkle over the crushed up candy canes. I like to put the candy canes in a bag before breaking them up with a rolling pin so that they don’t go everywhere. 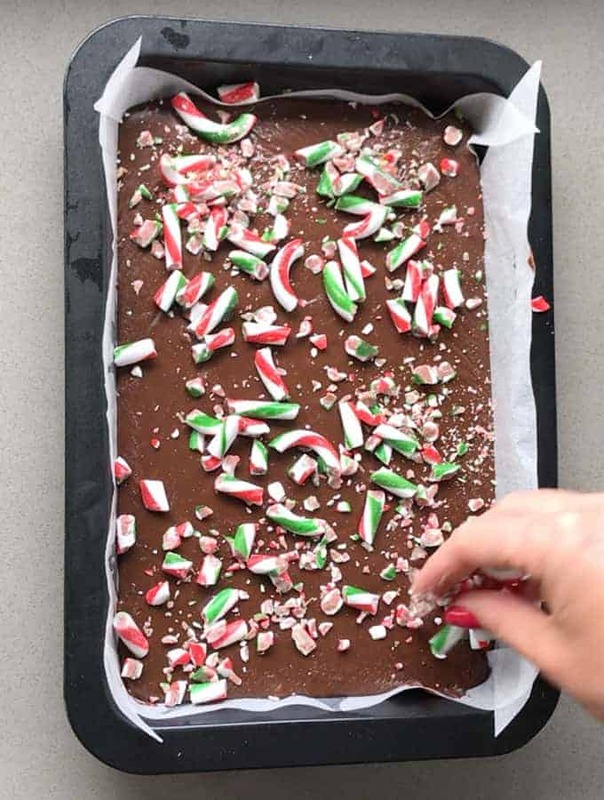 Once you have added the candy canes put it into the fridge to set, then slice it into small pieces. I like to keep it chilled in the fridge in an airtight container. 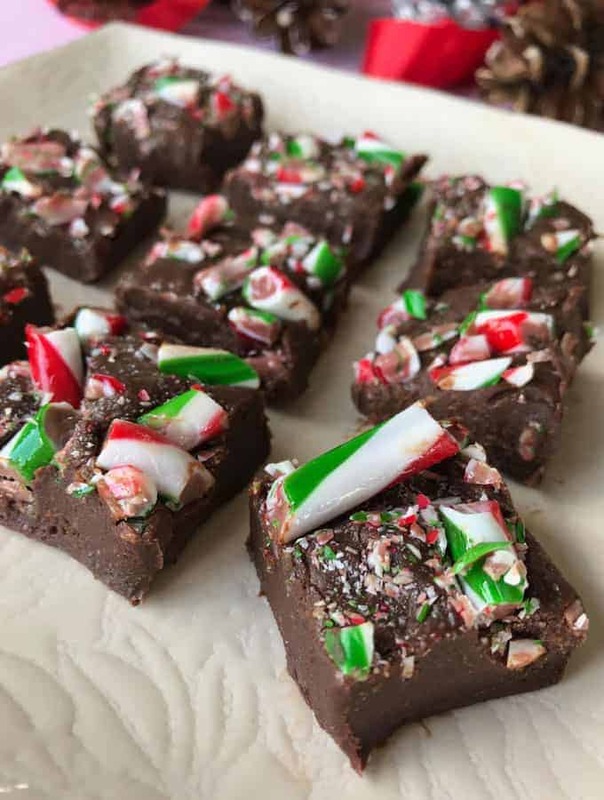 This candy cane chocolate fudge also makes for a tasty gift for your friends and family. Just put it into cute clear bags or little paper boxes and add a nice Christmas ribbon. You could add any topping you like to this easy chocolate base: M&Ms, pretzels, marshmallow, nuts or fruit. You could also swap the chocolate for white chocolate if that is your fave. 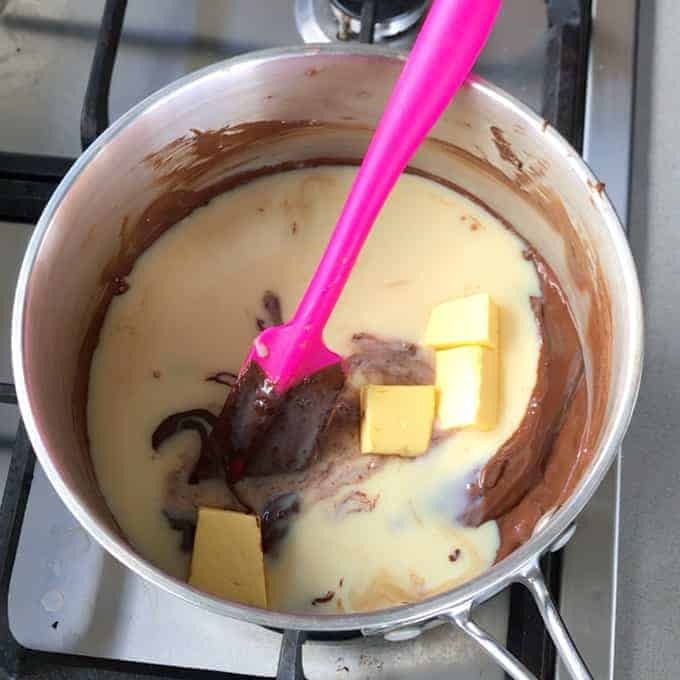 Melt chocolate in a saucepan on a low heat, add condensed milk and butter then stir until well combined. Pour into a lined tray and set aside. Unwrap candy canes and put them into a plastic bag. 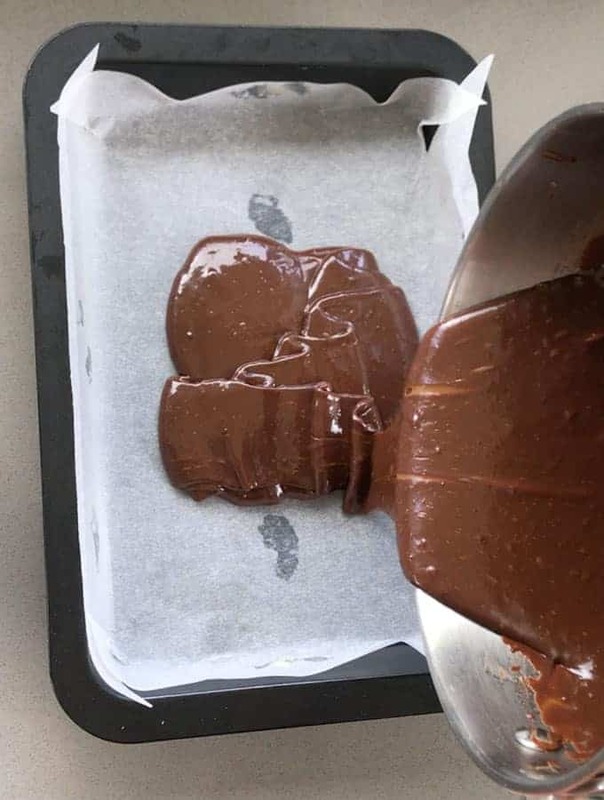 Break into small pieces with a rolling pin then sprinkle over the chocolate fudge. Chill in the fridge until set then chop into bite sized pieces.